UPDATED, March 24, 3:45 p.m.: New York City-based Greystone Development started leasing The Aura, a new 100-unit apartment building near Coral Gables with monthly rents starting just under $2,000. Greystone is offering one-bedroom, one-bathroom units for $1,995 to $2,280 per month. Two-bedroom units with two or two-and-a-half bathrooms are available for $2,700 to $3,190 per month. 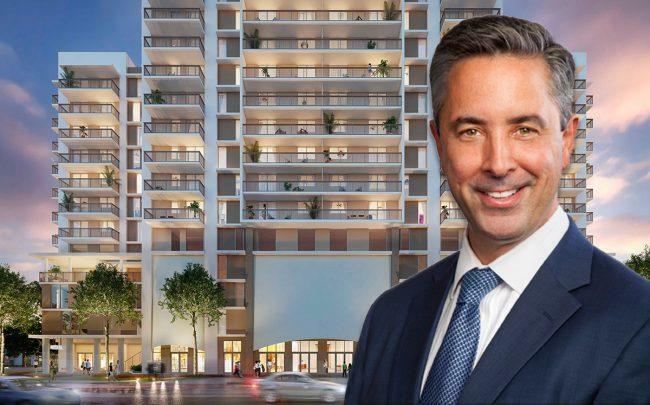 The company currently is offering one rent-free month to tenants of The Aura, a 14-story, mixed-use building at 1501 Southwest 37th Avenue in Coral Gables. Tenants can move into their apartments starting on April 15. Each unit apartment has a private outdoor space and a washer and dryer. Common area amenities include a swimming pool, sundeck, spa and gym, plus concierge service, covered parking and a lounge with a demonstration kitchen. RKW Residential is the leasing agent for the residential portion of The Aura. Emran Ally of brokerage firm CBRE is the exclusive leasing agent for about 6,400 square feet of ground-floor retail space with floor-to-ceiling windows and more than 150 feet of frontage along heavily trafficked Douglas Road. Correction: An earlier version of this story incorrectly stated the property is in Coral Gables. It is in Miami.